Nigeria heads Group B of the continental showpiece and will contend with the Banyana Banyana of South Africa, Chipolopolo Queens of Zambia and Equatorial Guinea. 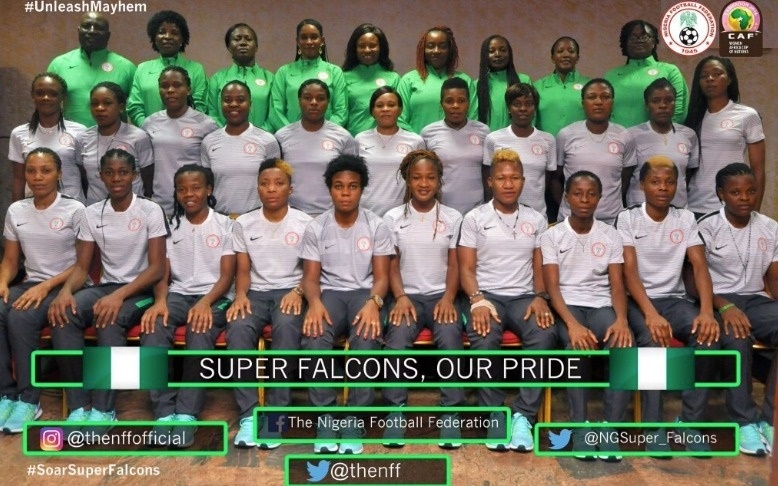 The Super Falcons of Nigeria will on Wednesday, November 12th, fly into the Ghanaian capital, Accra before making their way to Cape Coast ahead of the commencement of the 11th Women Africa Cup of Nations finals. The reigning African champions have now spent six days at the world –renowned football facility, Sol Beni Sports Centre (owned by ASEC Mimosas Football Club) in Abidjan, following a three –week preparatory program at the Jubilee Chalets and Resort in Epe, Lagos State. Eight–time champions, Nigeria, head Group B of the continental showpiece and will contend with the Banyana Banyana of South Africa, Chipolopolo Queens of Zambia and an Equatorial Guinea team restored into the tournament only few days following a CAF Appeal panel ruling. Only Nigeria and Equatorial Guinea have been successful at the 20–year old continental fiesta, with the latter emerging winners on the only two previous occasions that Nigeria did not triumph. While the Guineans have won on the only two occasions they hosted the tournament (2008 and 2012), the Super Falcons have established Africa as their footstool, winning at home in 1998, 2002 and 2006, winning in South Africa in 2000, 2004 and 2010, winning in Namibia in 2014 and winning in Cameroon in 2016. Hosts Ghana, Algeria, Mali and Cameroon will battle things out in Group A in Accra.